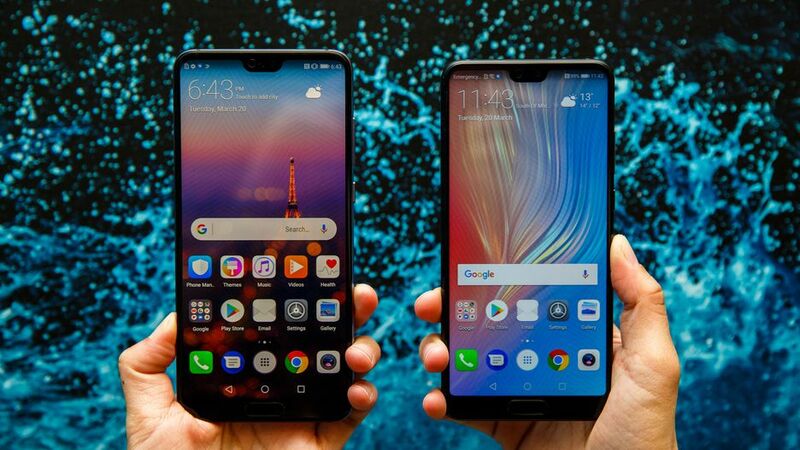 Ultimate guide on How to Unlock Bootloader of Huawei P20, P20 Pro and P20 Lite: Huawei P20 series has launched a few days back, and the device has started shipping to the buyers. The phone comes with a great hardware specification with the Triple Leica camera, which means the phone is photo-centric. You may fall in love with this device, but you don’t like the bloatware occupying the OS. Also, the OS is EMUI; a Chinese skin is not for all. So, you may try out some other Custom Firmware. To play any experiment on your device, you need to open the window, i.e. Unlock Bootloader on Huawei P20. Unlocking Bootloader will allow the users to flash any Custom ROM or root your device. Android enthusiasts might be looking forward to using root app on Huawei P20 or modding the device. In order to do so, the very first step is to Unlock Bootloader on Huawei P20. Root App: Top 40 Android Apps for Rooted Devices! Huawei allows unlocking the bootloader officially. However, the phone ships with a locked bootloader for security purpose and reliability as everyone is not tech-savvy like you 😀 — to modify the system. Install ADB and Fastboot driver! Obtain the product ID of your Huawei device: Open the dialer app and enter *#*#1357946#*#* to fetch the Product ID. Note down the IMEI number and product serial number of your phone. Go to Setting > About > Status. Alternately, you can find it on the box of your phone. Make sure you have correctly installed Huawei P20 USB Driver on your computer. If not, please download it from our USB driver section below and install it correctly. Otherwise, your computer will not be able to detect your device. 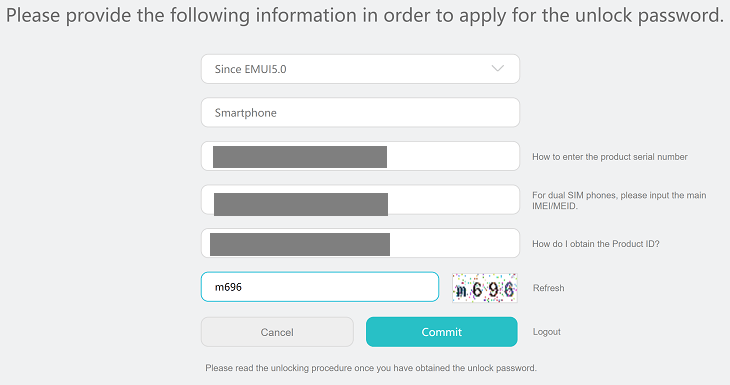 In order to Unlock Bootloader on Huawei P20, you need to fetch a 16 digit unique bootloader unlock code directly from Huawei. Procuring the code will void the warranty of your device. 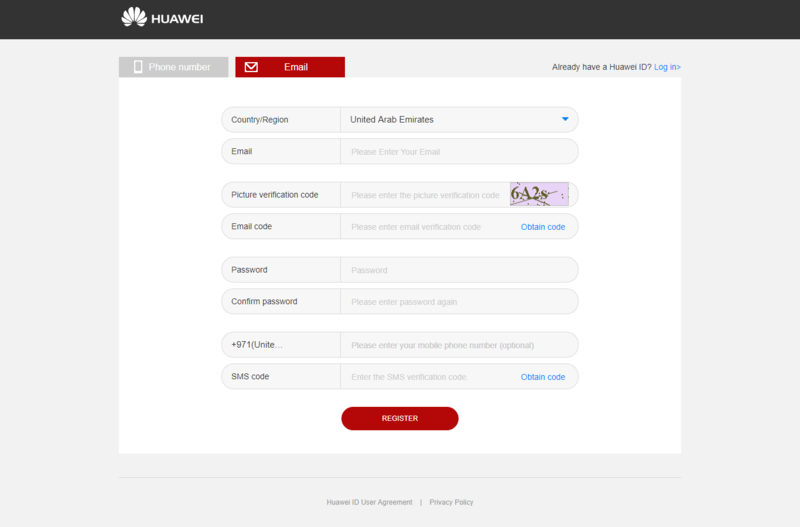 Log on to the Official Huawei Bootloader Unlock request page. Fill the details and click on “REGISTER” button. You will be redirected to the agreement page, where you need to check the box for “I have read and accepted all terms above” and continue. Provide the necessary pieces of information and get the 16-digit Unlock Code for your Huawei P20 / Huawei P20 pro / Huawei P20 Lite / P20 Plus. Choose the option “Since EMUI” from the list. Enter the product serial number, the IMEI number, and the product ID of the phone and hit “Commit“. You will get the 16-digit unlock code in a pop-up window. Note down the number and save it somewhere. You have the unlock code. Now, you need to boot into Fastboot mode and unlock the bootloader of Huawei P20 using codes. Switch OFF your Huawei P20 / Huawei P20 pro / Huawei P20 Lite / P20 Plus. Press and hold [Volume Down] + [Power] buttons and release the [Power] button when the device vibrates. Your device should be in recovery mode. So, connect your phone to the computer using a compatible USB cable. That’s it! Your device is now unlocked and ready for rooting! Your Huawei P20 / Huawei P20 pro / Huawei P20 Lite / P20 Plus device is ready for action with TWRP, Custom ROMs and rooting. We cannot access to the unlock page anymore. Did Huawei change his mind and doesn’t allow the unlock bootloader anymore? WEAKNESS! Huawei has been out of unlocking codes for months. All Huawei owners are now stuck like Apple owners.